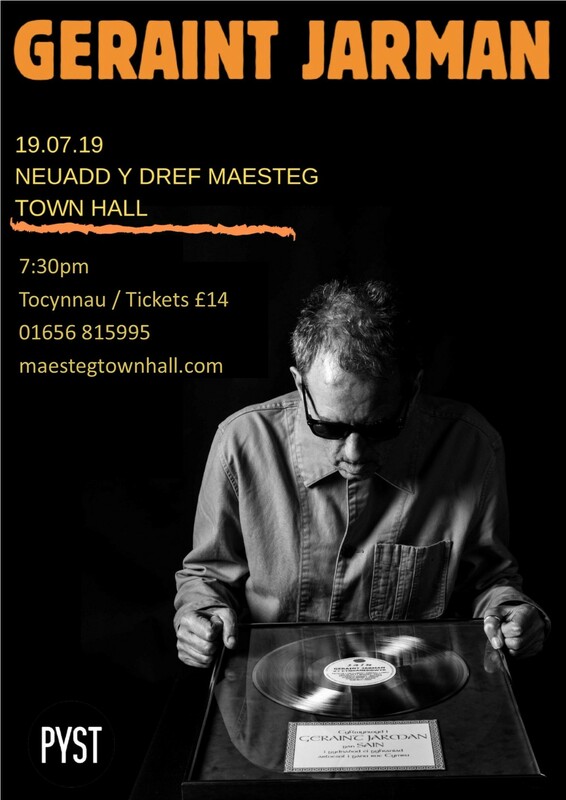 We’re delighted to welcome Geraint Jarman, the godfather of Welsh rock, punk poet and influential Welsh language artist to Maesteg Town Hall this Summer! Geraint Jarman should be a key figure in any appraisal of Cardiff’s contribution to music. There is no-one who can match Geraint Jarman’s immense and continuing effect and influence on Welsh language music over the past half a century. As a highly original composer, poet, performer and television producer he has had a defining effect on every decade of the story of Welsh language youth culture. In 2018 Jarman released his latest album Cariad Cwantwm exactly forty years since 1978’s classic era-defining Hen Wlad Fy Nhadau (Land of My Fathers ) If Cool Cymru has a starting point then it is to be found within the grooves of this record. Onstage the live Geraint Jarman experience is a blistering, exuberant mix of the classic old and the searching new in a setlist that spans the decades and gives us rock, new wave, reggae, dub, pop and country rock.